At Desert West Enterprises, LLC, we are committed to providing the best asphalt services in the industry, at fair and honest prices. We undertake a full-range of quality asphalt projects—including specialty work that other pavers just don’t do! Micro Surfacing: For parking lots and side roads that are structurally sound but have minor cracks and rutting, micro surfacing is the answer. This high-performance seal is applied to the surface and will last for years, preventing precipitation and debris from breaking down the asphalt further. 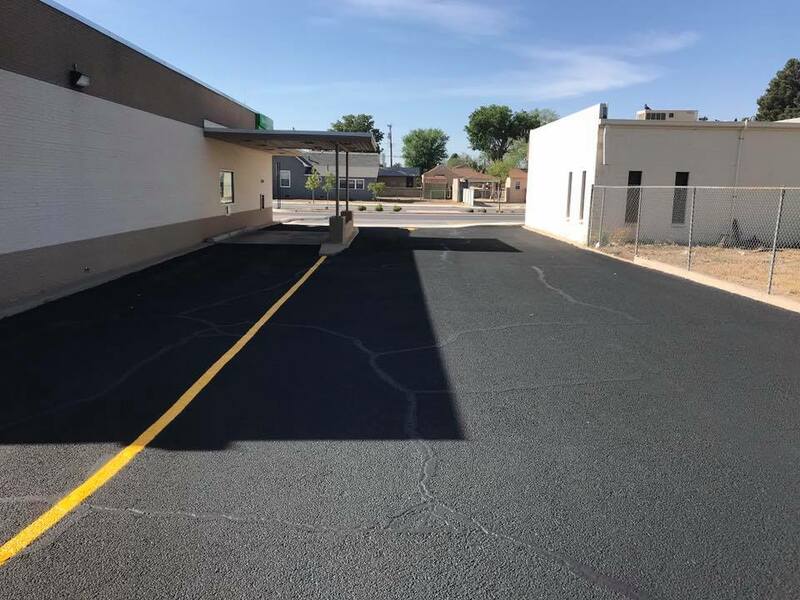 Not only are we the only asphalt contractors in Roswell, NM able to do micro surfacing; we’re the only ones in the state! Asphalt Paving & Resurfacing: Prolong your asphalt by choosing to overlay fresh asphalt to the existing surface. 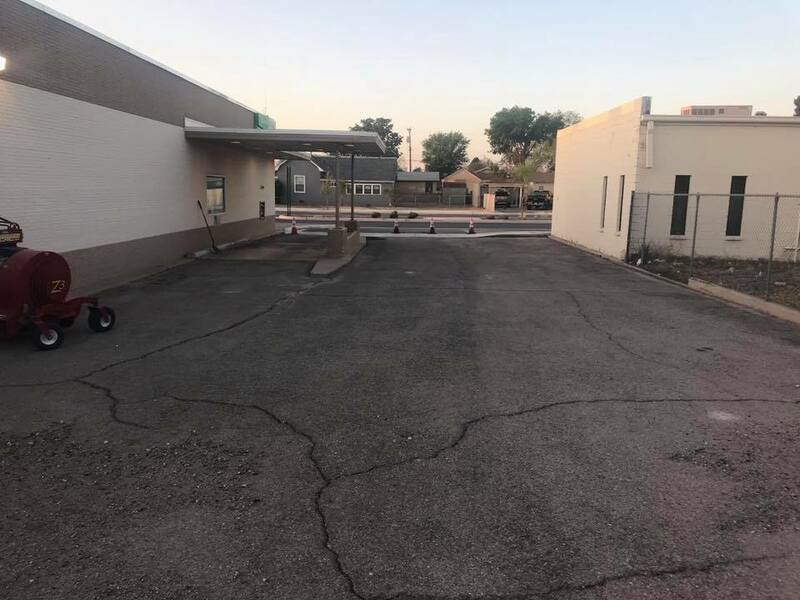 Not only is our asphalt resurfacing in Roswell, NM, an effective solution to extend the life and look of your pavement, it also costs substantially less than completely removing and replacing the existing pavement. Or, if you’re laying asphalt for the first time, give us a call for affordable, thorough work that looks beautiful and stands strong! Seal Coating:Sealcoating: Sooner or later your asphalt parking lot or road will need to be sealed. Traffic, weather and sunlight can all speed up deterioration. That’s where we come in. Our expert team will help you determine if a simple fog seal will restore your worn-down pavement, or if it requires the special protection of a chip-sealed surface. Whichever sealcoating your surface needs, you can trust it will be done with the highest quality and make the surface black again and protect it from weather and traffic. Crackfill & Asphalt Patching:Fixing cracks before they become potholes is the best preventative measure you can take on a budget to extend the life of your asphalt surface. Maintaining an ongoing asphalt crack repair maintenance program will improve the longevity of the surface and help prevent further costly damage. It is important to repair any cracks that arise to prevent further major damage and erosion. Chip Seal & Fog Seal: Fog sealing is helping New Mexico extend the life of chip-sealed roads, reducing road maintenance costs. Chip seal is the preferred method applied to county roads. Fog seal is applied to highways and freeways where it is shot with a distributor truck to protect the road and extend the life of chip-sealed road surfaces, significantly reducing maintenance costs. Coldmix: Cold-mix asphalt offers certain environmental benefits as it is more environmentally friendly than hot mix because it minimizes the release of harmful gases and consumes less energy in production and laying. It is also safer in terms of emissions and the absence of dangerous hot materials. Desert West Enterprises, LLC provides coldmix for county transportation departments. Striping & Signs:No matter the scope of your striping and marking sign needs, we have the equipment and experience to stripe parking lots, industrial areas, and private property to your specifications. Asphalt Distributor Services: Desert West Enterprises, LLC provides asphalt distributor services and as the ability to provide a distributor truck for hire. Deseret West Enterprises, LLC prides itself on providing superior workmanship and services that other contractors can’t match. We are always striving to earn your business by delivering top-tier service and quality work on any and all jobs—from asphalt patching to parking lot striping. Make us your first call at 575-623-3990.